Abandoned in Texas, a photo by The Shutterbug Eye™ on Flickr. 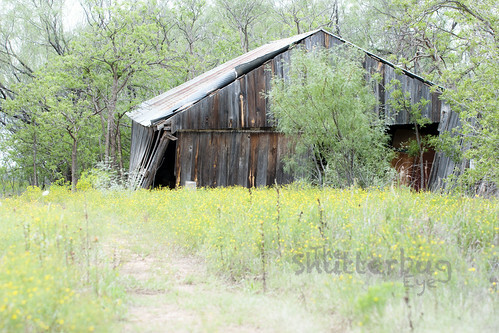 Abandoned barn in Bomarten, TX. Bomarten was the town my husbands grandfather lived in. It is completely abandoned and much of it is completely gone.